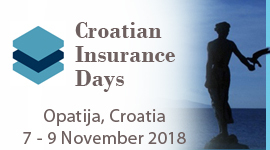 Overall, the CEE insurance market saw a 2% growth in GWP, to EUR 18.67 billion, the largest contributions to the upswing trend being provided by Slovenia, the Czech Republic, Croatia, Latvia and Lithuania. Allianz Bulgaria has officially started its distribution agreement with UniCredit Bulbank. Thus, since the beginning of October the life and property insurance products of Allianz will be available at the UniCredit Bulbank's counters across Bulgaria. Swiss Re estimates its preliminary combined claims burden from large natural catastrophes at approximately USD 1.1 billion, net of retrocession and before tax, and expects large man-made catastrophes to lead to a pre-tax claims burden of approximately USD 300 million. 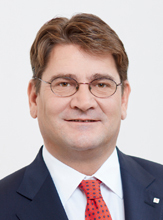 The German TALANX Group announced it is assuming a large-loss burden for Industrial Lines after more than EUR 260 million in nine months. This is likely to have already exceeded the large loss budget for the entire year in Industrial Lines on September 30, 2018. Hannover Re has completed the fifth catastrophe bond transaction for clients this year, raising the total issuance volume to USD 1.5 billion in 2018. For the year end, the reinsurer expects the ILS market to reach a total volume of close to USD 100 billion. In anticipation of the UK's exit from the EU in March 2019, the French AXA Group has received authorization from the Central Bank of Ireland to move the operations of its European subsidiary XL Insurance Company SE (XLICSE) to Dublin. The 5th SCOR Sweden Re Actuarial Prize was awarded to Lansforsakringar Fondliv Actuary Masar Al-MOSAWI, during the Nordic Life Insurance Conference in Stockholm on October 12, 2018. Marsh & McLennan Companies (MMC) and Jardine Lloyd Thompson Group (JLT) have confirmed that October 10 the Federal Trade Commission (FTC) granted early termination for the waiting period under the Hart-Scott-Rodino Act, with respect to MMC's previously announced acquisition of JLT. The Azeri insurance market will undergo changes that lead to a decrease in premiums on certain types of insurance next year, said Chairman of the Azerbaijan Insurers Association (AIA) Mustafa ABBASBAYLI. Agro insurance and insurance against accidents at work may contribute to market development. The ASIA INSURANCE company achieved substantial growth in financial and economic performance indicators for the first 8 months of 2018. Insurance premium growth amounted to 150.3% compared to the same period last year. 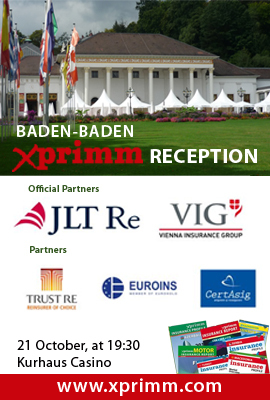 Five new XPRIMM insurance reports to be launched in Baden Baden? Almost 30 years ago, VIG was the first company to enter the CEE market, by setting up a company in Bratislava. Nowadays, VIG is present in 25 countries through about 50 companies, with around 25,000 employees, generating premiums of 9,5 billion EUR. At the same time, the CEE countries contribute to more than 50% of our premiums and more than 50% of our profit. We see high potential on account of the very positive economic prospects for Central and Eastern Europe.